In the last of the Switzerland series, here’s a peek at a celebrity favourite. Gstaad and Saanen are two small towns in the Bernese Oberland, and together form the pretty-as-a-picture Gstaad-Saanenland region. I spent a couple of days in this lovely part of Switzerland last year, and I wrote about Gstaad for National Geographic Traveller’s Swiss Special issue of February 2016. Here’s the unedited version of my article, plus my recommendations on where to stay and eat. Julie Andrews lives here and so did Elizabeth Taylor. Madonna visits often and so does Kareena Kapoor Khan. 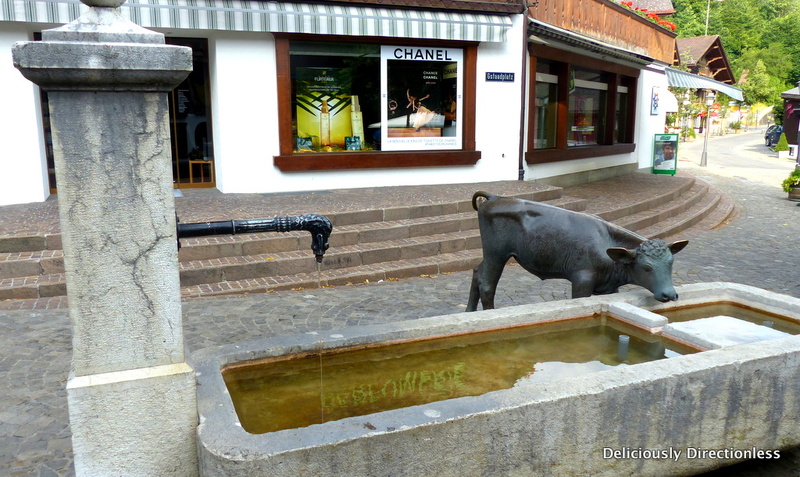 Gstaad has always been the playground of the rich and the famous. From a small village in the Bernese Oberland to a luxury destination choc-a-bloc with designer boutiques, the town has undergone a glamorous transformation. Yet, it’s a place that holds its history and traditions dear – authentic chalets made with weathered wood, working dairy farms, thriving folk arts – you will find all these and more, if you step beyond Gstaad’s enticing high street. 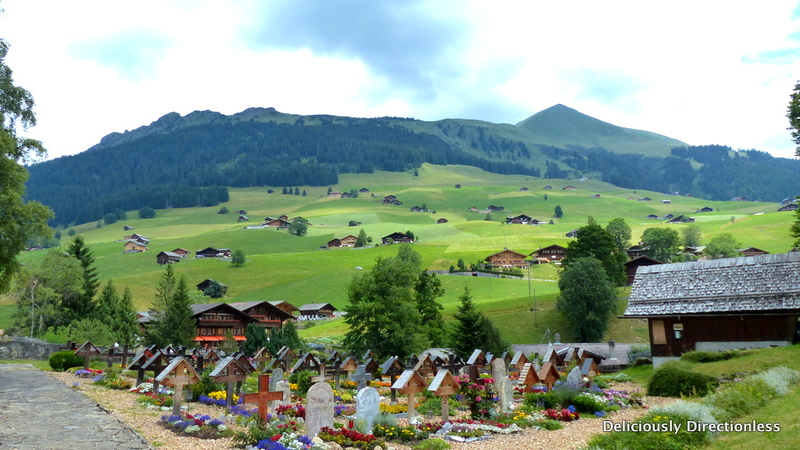 The Gstaad-Saanenland region is dotted with small chalet villages, sitting pretty against the backdrop of green pastures, flower-dotted fields and snow-clad mountains. 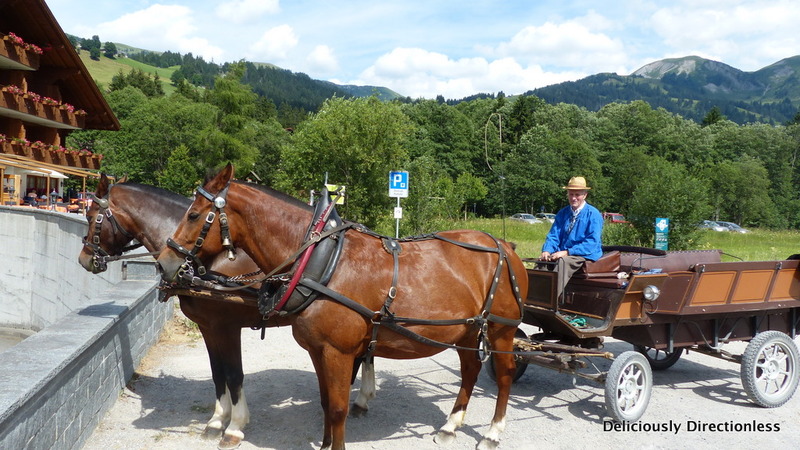 Head over to the village of Lauenen, from where you can take a horse carriage ride to Lauenensee (Lake Lauenen), a serene lake located in a nature reserve. Do the (very easy) circular hike around the lake or go boating on it. 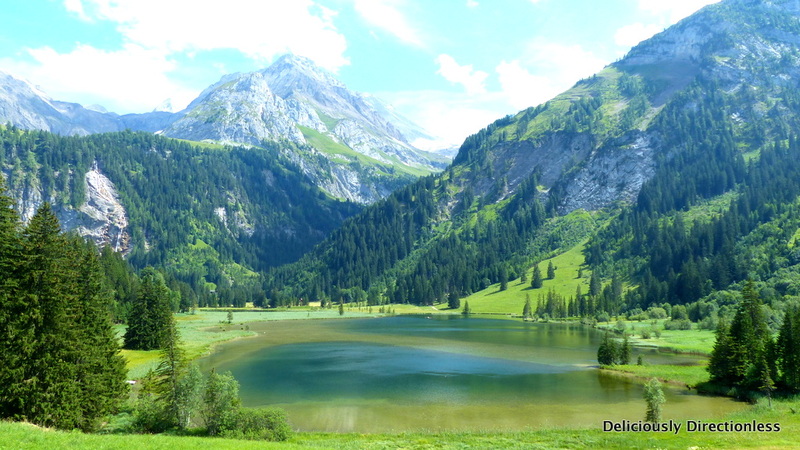 If you’re looking for a more active holiday, the mountains around Gstaad and Saanen are excellent for leisure and adventure hiking, mountain biking and mountain boarding. In winter Gstaad is one of the most popular ski resorts in the country. Fancy walking across the only suspension bridge in the world connecting two mountain peaks? 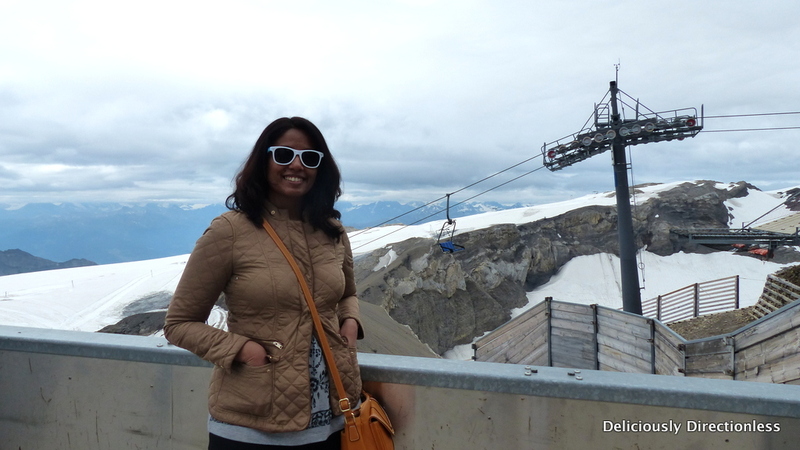 The 107-metre-long Peak Walk is the highlight at Glacier 3000. 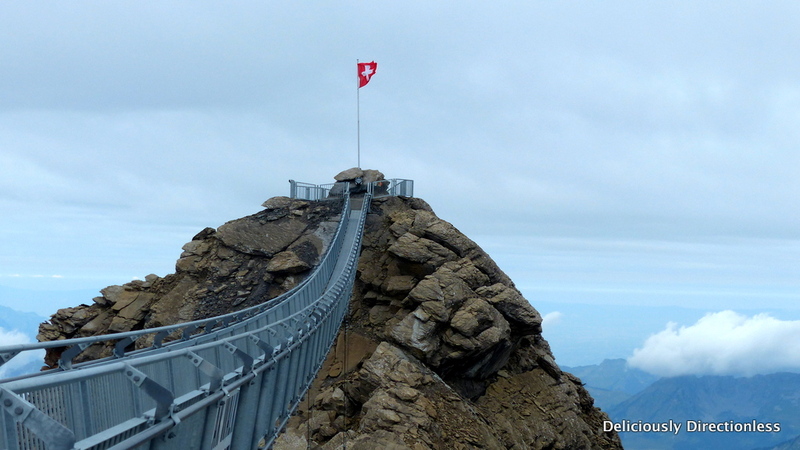 It connects View Point (2,971m) with Scex Rouge (2,976m), and offers a stunning view of 24 summits in the Alps, including Mont Blanc, Matterhorn and Jungfrau. Glacier 3000 has other adventures in store as well – go on a glacier walk, take a snow bus or a husky sleigh ride, or try cross-country skiing. The Alpine Coaster is not for the fainthearted – the world’s highest toboggan run is a thrilling ride of action-packed jumps and heart-stopping steep curves. 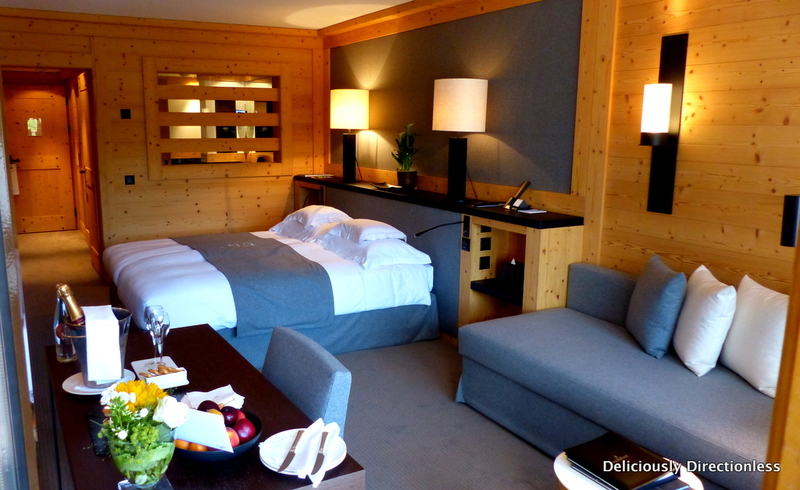 Switzerland and cheese are almost synonymous, and Gstaad is particularly known for its local, specialty cheeses. 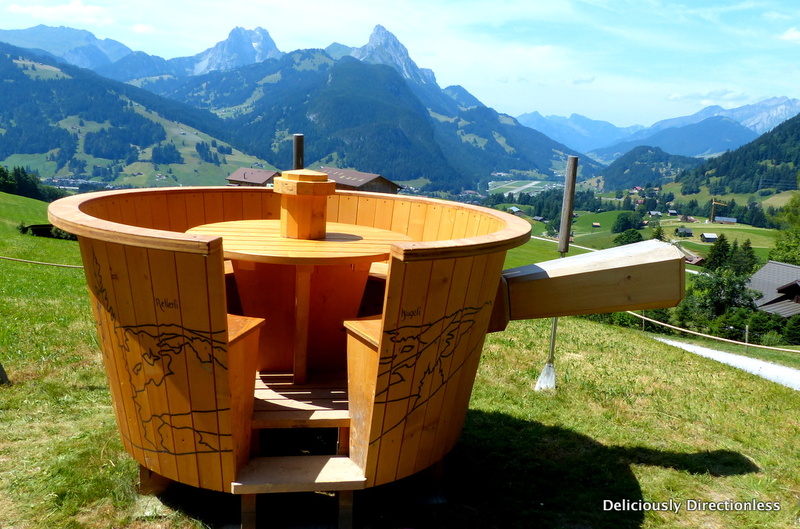 In Fondueland Gstaad you can enjoy a delicious fondue outdoors, while seated in a massive, wooden caquelon (fondue pot) and admiring the spectacular alpine view. Pick up your fondue kit from designated dairies, complete with a caquelon, a warmer, two types of cheese, crusty bread, plates and forks. There’s one fondue pot in Schlittmoos and two in Vorderi Wispile, each of which has room for 8 people. Summer is time for music festivities in the Alps. 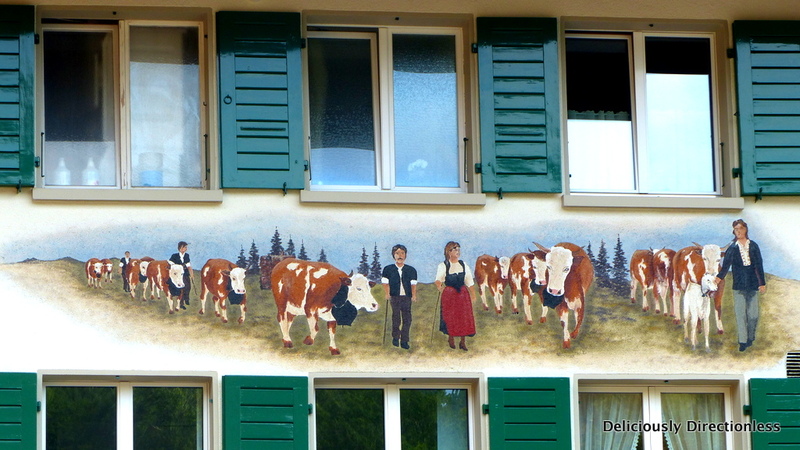 In Gstaad the dairy farmers celebrate Suufsunntig or Drinking Sunday, which begins with a glug of schlugg (a yoghurt-like by-product of cheese), followed by mountain prayers, yodelling and alpine horn playing. At the beginning of summer, if you’re lucky, you may witness the annual züglete or transhumance, when the farmers drive their cattle up to the alpine pastures. The cows are decorated with wreaths of flowers and the air is filled with the tinkling of their cowbells. 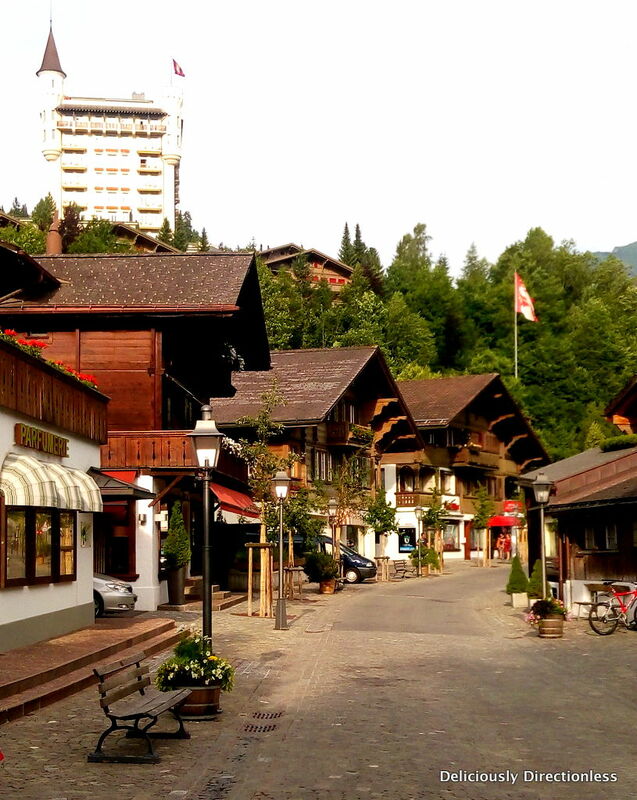 Gstaad also hosts the annual Menuhin Festival, a celebration of classical music with more than 50 concerts being held over seven weeks, between July and September. The pretty chalet village of Saanen is the historical heart of the region and is steeped in traditional handicrafts and arts. Don’t miss the Museum der Landschaft in Saanen, which traces the region’s history and culture through its arts and crafts. Peasant style ceramics, woodcarving and paper cutting are some of the most popular handicrafts. 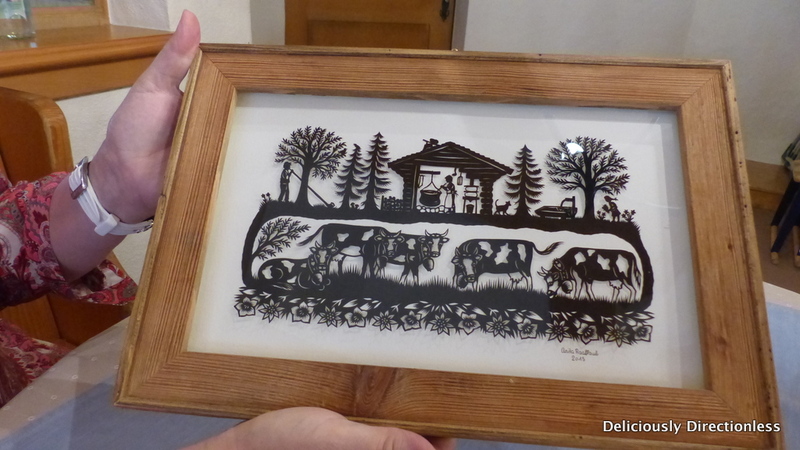 Paper cutting or scherenschnitte is the art of creating delicate, lace-like designs by cutting paper. The designs usually depict alpine scenes or geometric motifs. 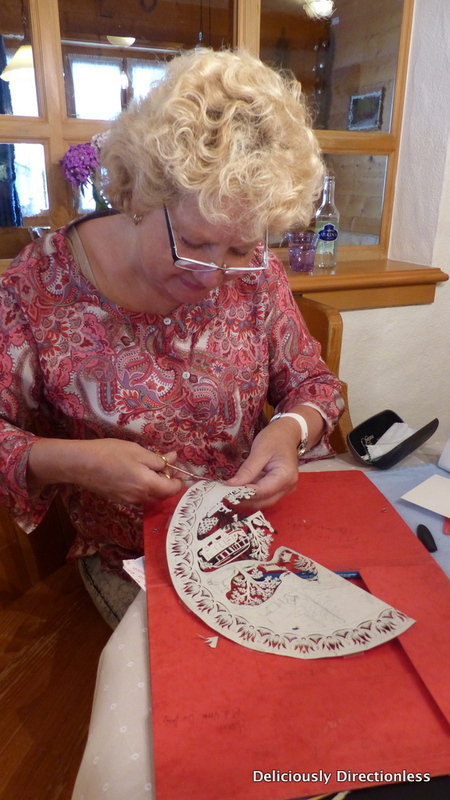 You can watch an artisan create these artworks in Lauenen, and you can also try your hand at it. Read more about paper cutting here. 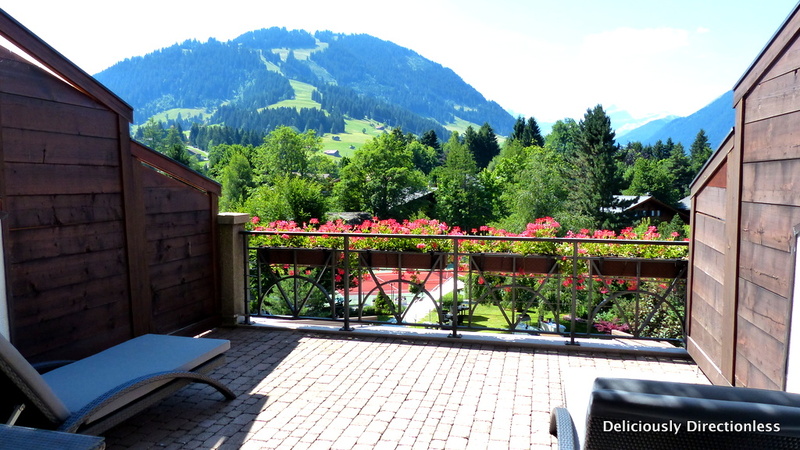 There’s no dearth of excellent hotels in Gstaad, with lots of luxury stay options. 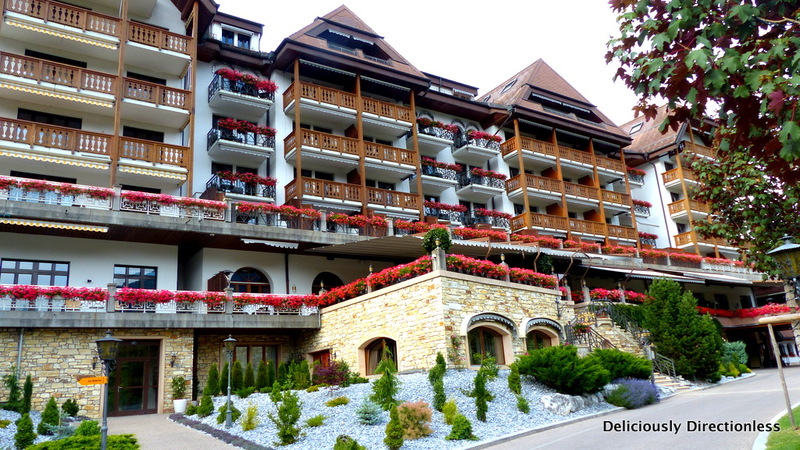 I stayed at the charming chalet-style, 5-star Grand Hotel Park, where the rooms have private terraces that look out over stunning alpine views. The rooms are luxurious, with good quality amenities and come equipped with fancy facilities such as a Bang and Olufsen entertainment system. The hotel has six restaurants (including a sushi bar), and I had a lovely Mediterranean dinner one night. There’s a fancy spa at your disposal as well. 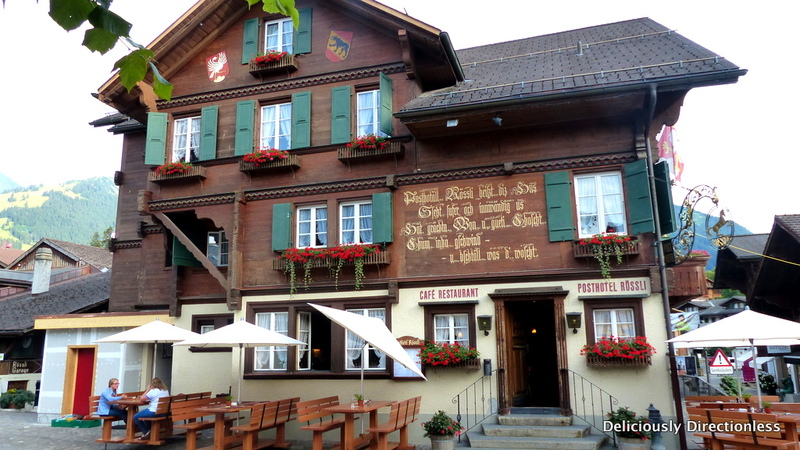 For another meal, I headed to Posthotel Rössli, the oldest hotel in Gstaad. The building dates back to 1823 and at one time also served as the town’s post office. The building has been a guesthouse since 1845 and has been run by the same family since 1922. 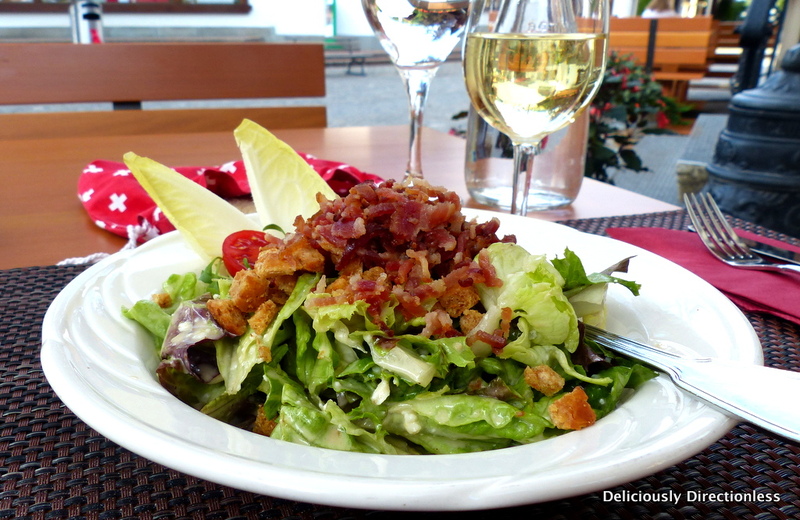 It’s located on the main street of the town, and it’s just a short walk from Grand Hotel Park. 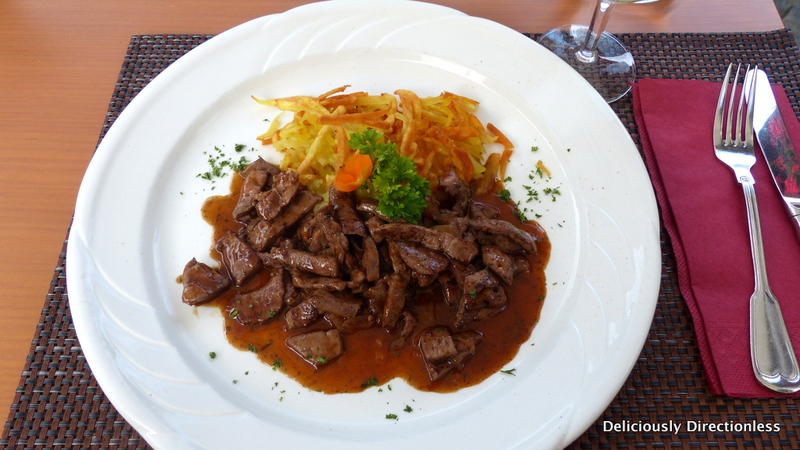 The restaurant Alti Poscht serves some interesting local dishes – I’d recommend the sautéed calf liver with a pungent vinegar-based sauce, as well as the house salad with Roquefort cheese, bacon and croutons. 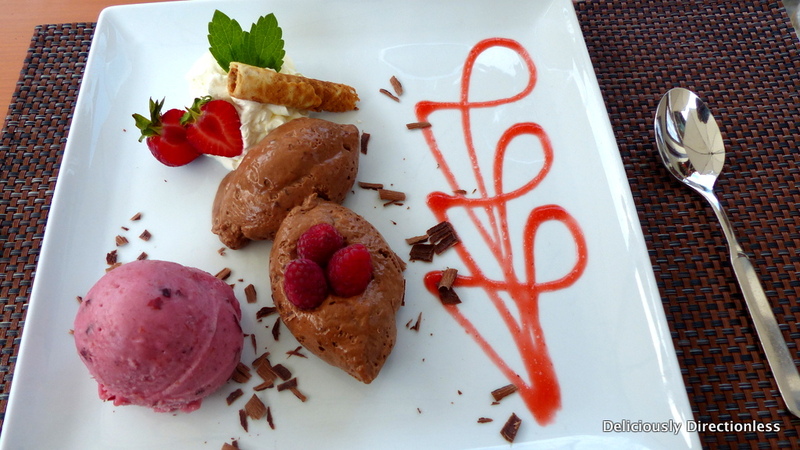 For dessert, the plum sorbet is the bomb – try it; you won’t be disappointed! This feature was commissioned by National Geographic Traveller, India, and was published in the Swiss Special accompanying the February 2016 issue. Read it here. Have you visited Gstaad? What was the highlight of your trip? Leave us a comment below. 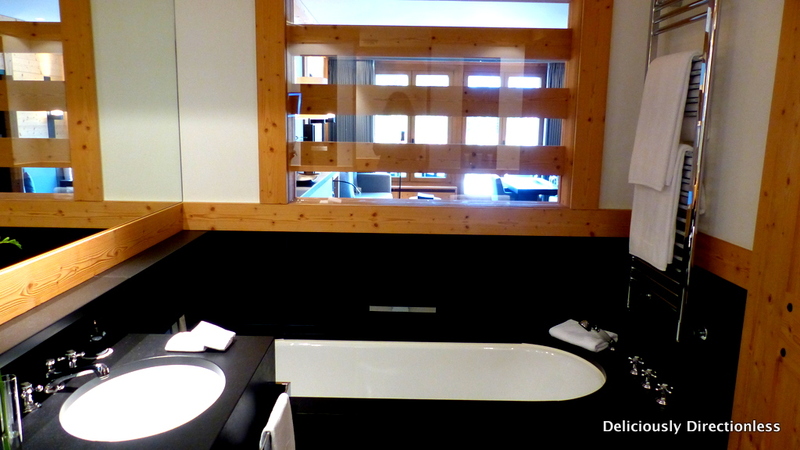 Disclosure: My stay in Gstaad was courtesy Gstaad-Saanenland Tourism.